Help Lee County Tornado Victims – United Way of Central Alabama, Inc.
Lee County needs the community’s full support as it begins to recover from the devastation of the March 3rd tornadoes. “This is the first disaster of this kind and magnitude we’ve experienced,” said Rebecca Benton, Executive Director, United Way of Lee County. 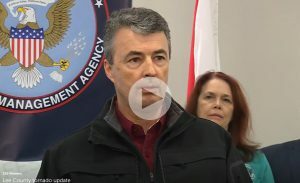 “While the Lee County leadership is concentrating on its rescue and recovery plans, UWCA is equipped to process online donations that will be available to the victims faster. Our focus now is setting up a disaster reception center to register and organize all the volunteer groups that are helping with the rescue and recovery,” said Benton. Donate to United Way of Central Alabama’s Lee County Disaster Fund and 100% of your donation will be sent to United Way of Lee County. 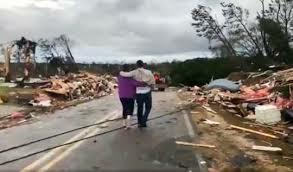 100% of your donation will be sent to help those affected by the deadly tornadoes. Corporate and company giving can have a powerful impact on communities that are recovering, rebuilding and healing. Large philanthropic gifts can help where government agencies can’t when strategically aligned with the right organizations. United Way of Lee County and United Way of Central Alabama will make sure your donation will exclusively support proven, efficient and accountable efforts. Corporate donors: Contact our corporate disaster donor specialist, Lisa Jett, at (205) 458-2082 or ljett@uwca.org for arranging a corporate gift. Click here to see the latest news from the recovery efforts.